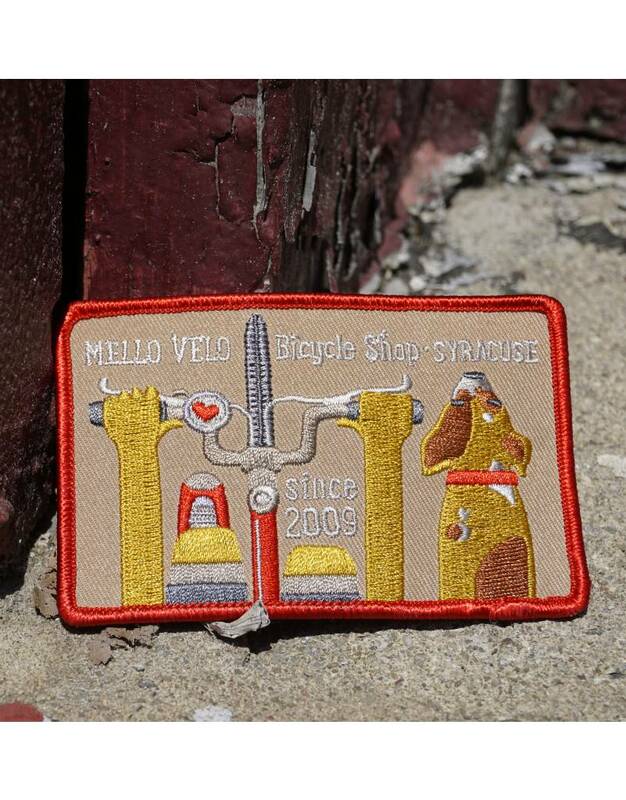 Mello Velo Bicycle Shop. Syracuse. Since 2009. 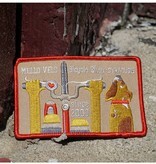 Custom embroidered patch with iron-on adhesive backing, or sew on. Patch measures 4"W x 2.6"H.